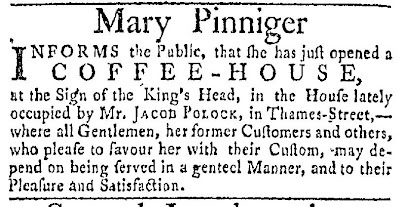 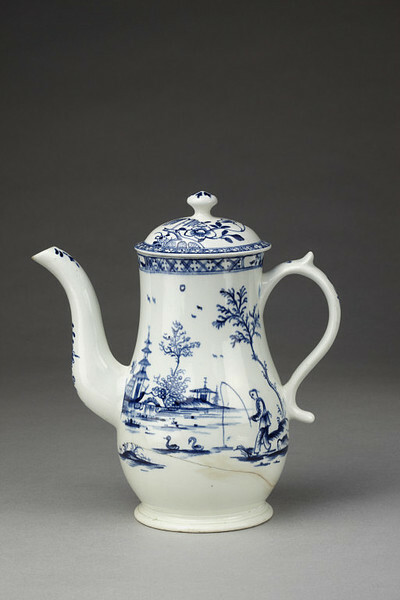 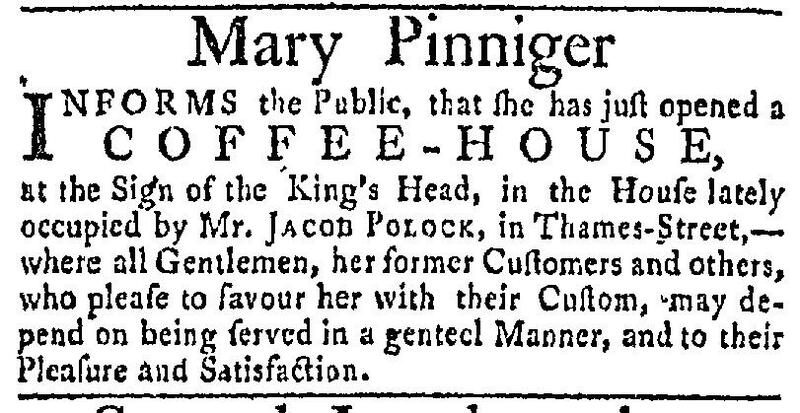 The description reads, "A woman wearing a nightcap seated at a table having coffee; black servant holding a a coffee pot standing to left." 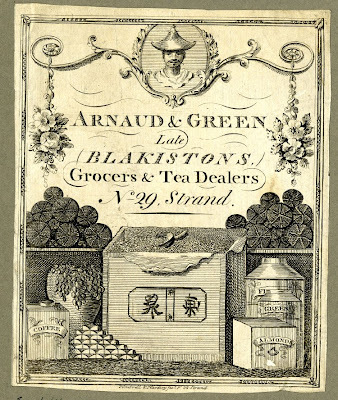 The description states, "DRAFT Trade card of Arnaud & Green, grocers and tea dealers; caddies of tea and coffee and other goods." 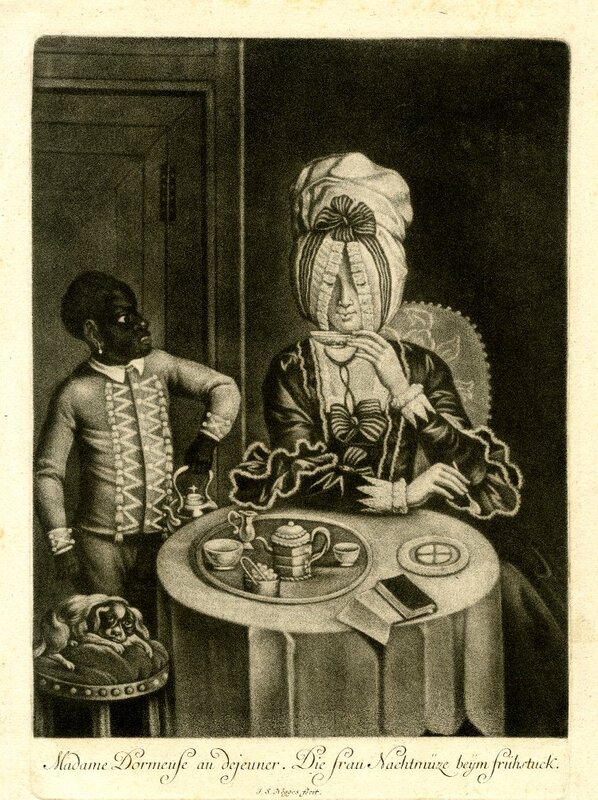 The description reads, "This watercolour may be a design for an illustration, or some kind of trade card or even a painted sign for advertising. 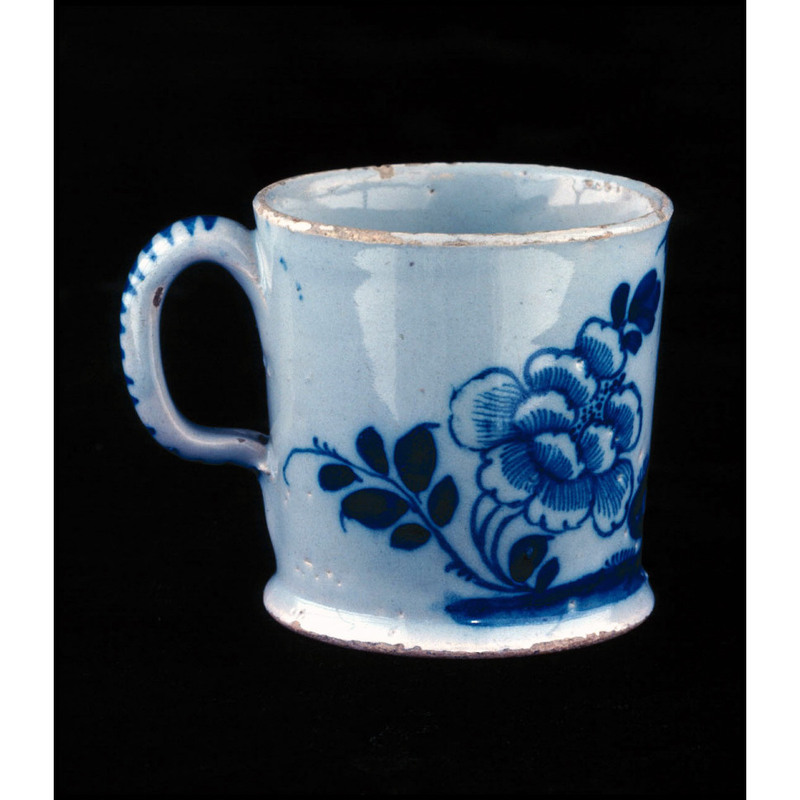 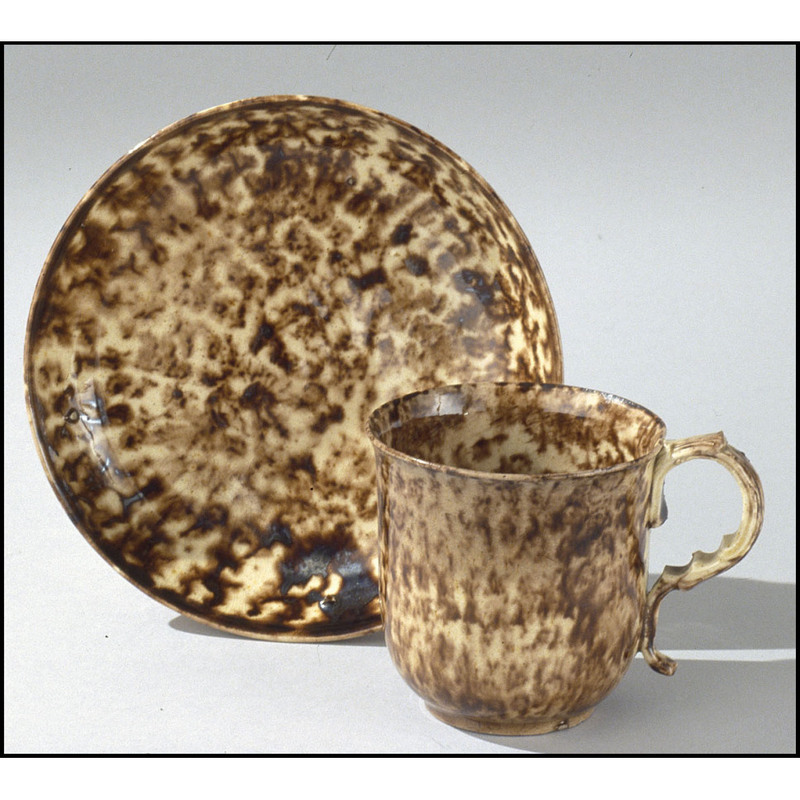 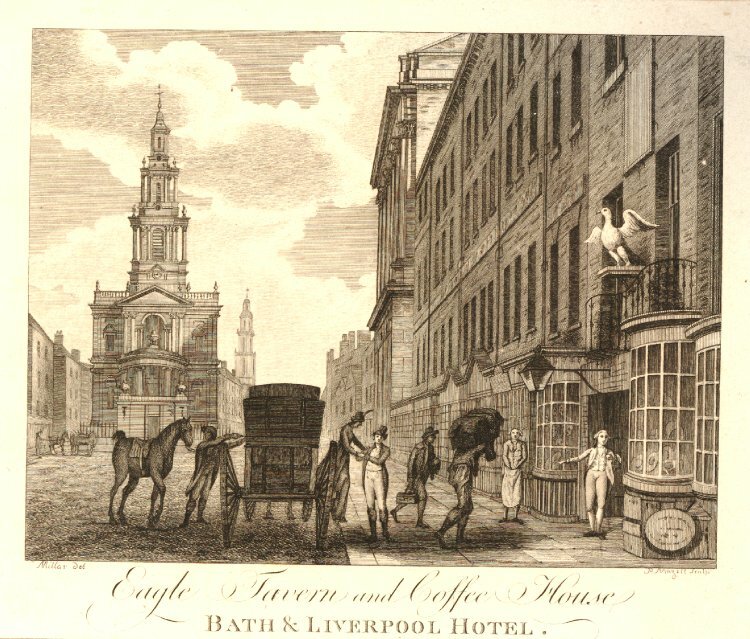 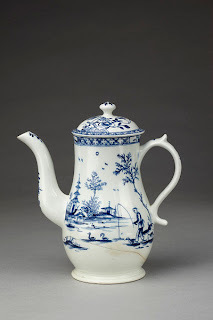 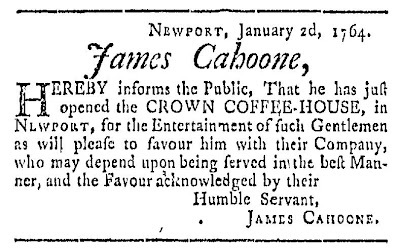 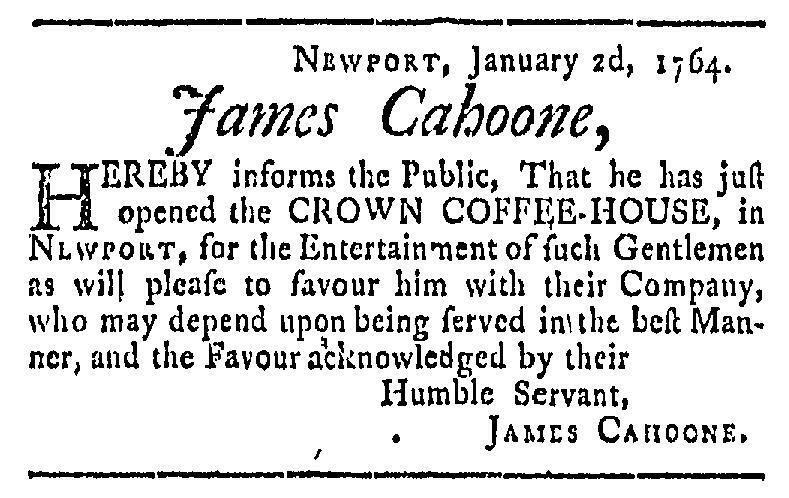 In the minds of early consumers, coffee was inevitable pictorially with its Ottoman origins. 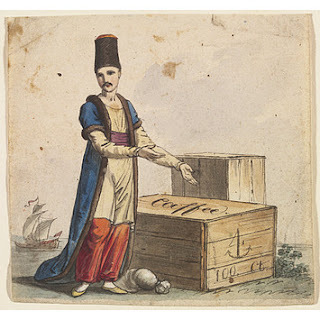 This image of the trader may be derived from a costume study of a Smyrna merchant. 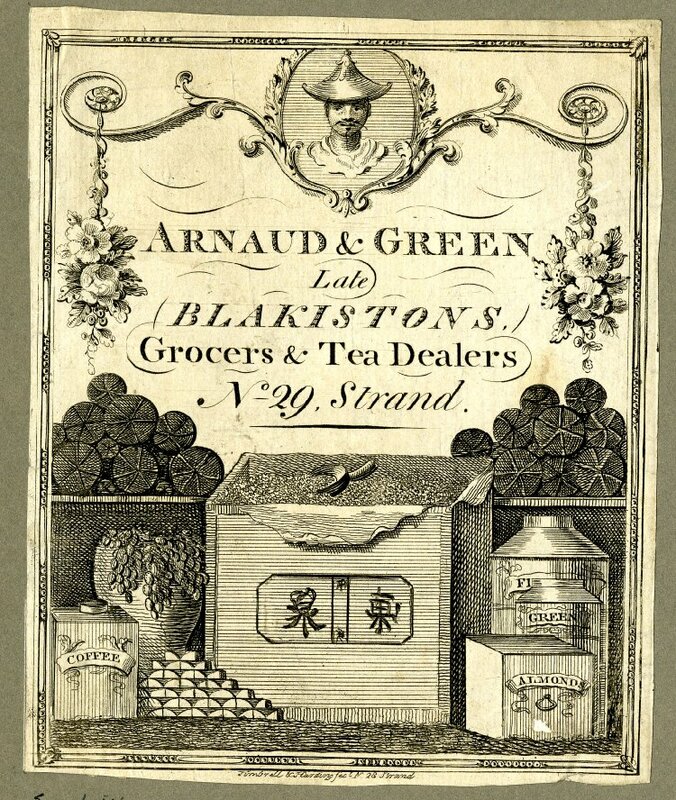 The crate of coffee has the merchant's mark on the side, as well as the number 100, presumably a hundred weight."